The Weather Channel’s “Wake Up with Al” has started using Studio 3B, home of “NBC Nightly News” and “Rock Center,” as a temporary New York home while the show gets its own set built. 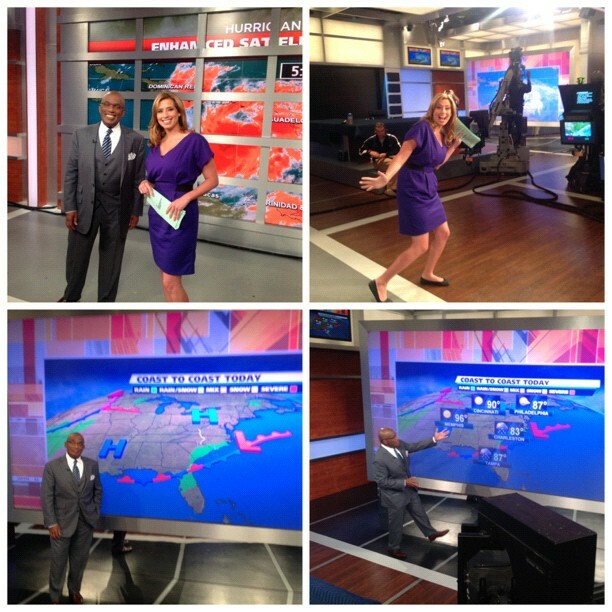 As shown in this photo collage tweeted by cohost Stephanie Abrams, host Al Roker utilizes the studio’s large rear projection screen for his weather maps. Due to the size of the screen, a colorful graphic border surrounds the actual maps, helping scale them down to a more manageable size. During the show, the main “Nightly News” desk area’s monitors appear to remain off. “Wake Up” is, as noted in the tweet, only using Studio 3B temporarily.